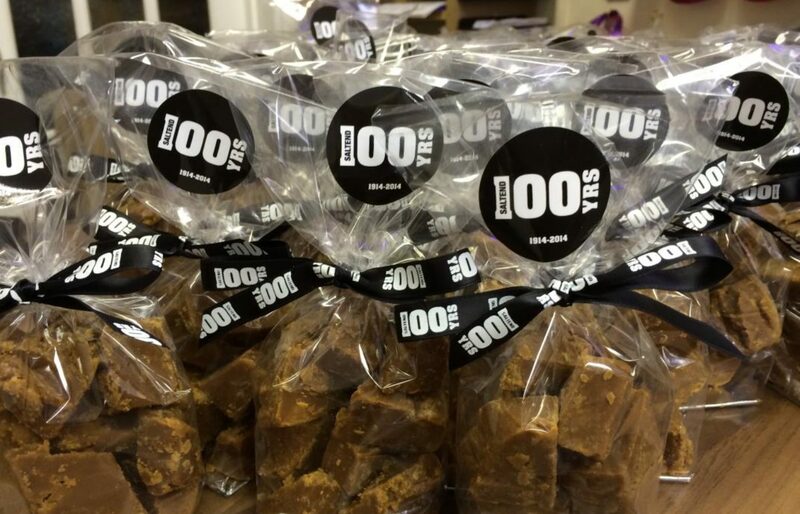 Roly’s Fudge is able to supply wholesale fudge and corporate gifts for a wide variety of functions and purposes. We have supplied a variety of ongoing customers over the years, including rural delicatessens, markets, farm shops, sweet shops, and high-end London department stores. We have worked with a range of clients, from multinational organisations and airports to trade shows. Roly’s Fudge is therefore able to offer wholesale fudge to suit every purpose, no matter how large or small the organisation. For corporate gifts, we are able to offer professional polka dot and fudge-patterned boxes and cello bags, a sample of which can be seen in our pictures. We are able to customise these with ribbons and stickers from our available selection or sourced by you. If you own a store, stall, delicatessen, or gift shop, and wish to stock our fudge, we have a wide range of wholesale options. You can choose from any of our current packing options as displayed on our online store, as well as from the fudge boxes and cellos displayed above. If none of these options are quite right, or if you’re just looking for loose fudge, our fudge is available for purchase by the kilo. We offer a substantial discount for orders of 5 kilos or more. Our Roly’s wholesale and corporate gifts can be customised with any supplied stickers and delivered directly to you. Please contact us with your ideas and queries using the contact form. Alternatively, you can ring the Roly’s team at (+44) 7791 404743 or (+44) 1392 201059. By submitting this form you agree to supply us with your provided contact details so we may get in touch with you reagrding your enquiry. We take your privacy seriously and we will only use the details you provide to respond to your enquiry.